Soy and Soy Milk: Is it Really All Doom and Gloom? 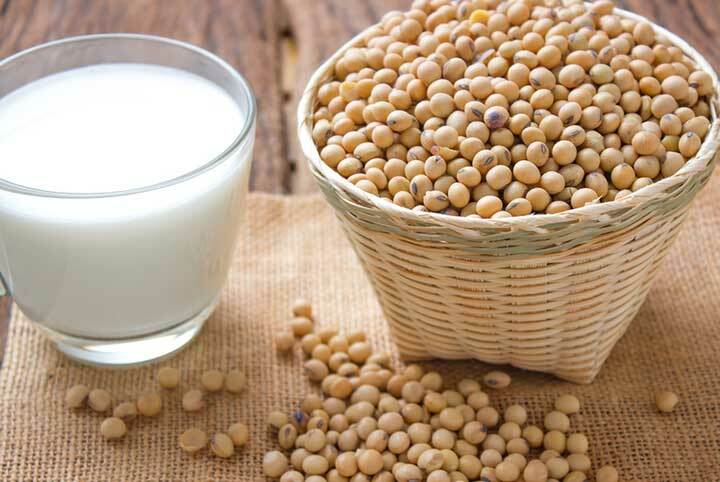 There are conflicting views about whether or not soy and soy milk should be consumed. In fact, the debate’s been going on for decades. The following information helps to break down the confusion around soy into bite-sized pieces. Current research shows that both soy and soy milk can be safely included in our diet, when limited to 1-2 servings per day. The soybean is an annual legume within the pea family. It contains edible seeds that are a rich source of complete protein (complete protein contains all the essential amino acids our body requires for good health). In the United States, the majority of soybean crops are genetically modified for resistance against herbicides like glyphosate. This fact, along with the effects of soy’s chemical properties on hormones in animal studies has been the main cause for concern. As a result, opinions on soy’s safety in our diet varies. The same applies to soy milk—a plant-based drink that is traditionally produced by soaking, grinding and boiling soybeans, and filtering out particulates. To drink or not to drink, that is the question. A better understanding of this seemingly innocent little legume should help quench your thirst for the answer. To determine whether we should be concerned about soy milk, we must first understand whether we should be concerned about soy itself. Why are there so many questions about soy? Simply put, soy can “behave” like estrogen (soy is often referred to as estrogenic)—hormones in women that are important for sexual and reproductive development. Soy foods contain isoflavones—plant-based chemicals that have some similarities to estrogen, however, isoflavones are significantly less potent. The bad news about estrogen is that it is linked to certain cancers in women, such as breast cancer and endometrial cancer. Of course, the development of these cancers is complicated, and genetic and lifestyle risk factors play a big role. It is well understood that in Asian countries like Japan and China, where soy consumption is high, women experience lower cancer rates than women who follow our typical Western diet. A recent study found soy foods actually lower the risk of breast cancer in women. The study looked at questionnaires from 70,578 Chinese women between 40 and 70 years of age, who were part of the Shanghai Women’s Health Study. The results support previous research indicating soy foods lower the risk of developing certain breast cancers in women, especially those who are premenopausal. According to the ACS, most of the worry about soy is derived from research studies on rats (not humans!) who were given varying doses of isoflavones and experienced greater growth of breast tumors in comparison to rats given little to none. It’s important to note that not all animal studies have shown these adverse effects. What’s more, the ACS purports moderate consumption of soy foods appear to be safe for breast cancer survivors and the general population, and they may even lower breast cancer risk due to isoflavones’ anti-estrogen, antioxidant and anti-inflammatory properties. However, the ACS is does not recommend supplements for cancer survivors and cancer prevention because they contain much higher isoflavone concentrations than what is naturally found in soy foods, and they are not rigorously tested. Another well documented concern lies in soy’s ability to interfere with the absorption of thyroid medications, thus, individuals with thyroid disease should be aware and consult with their doctor about soy. How Much Soy is Safe? The American Institute for Cancer Research (AICR) suggests that 1-2 servings of soy foods per day does not increase breast cancer risk, and may in fact decrease it. This information is based on a review of current research. Examples of one serving of soy include one half cup of edamame (boiled or steamed soybeans) or one cup of soy milk. The Physician’s Committee for Responsible Medicine (PCRM) recommends that the most healthful soy choices (and foods in general) are those that are traditional (think tempeh—fermented soy consumed in East Asia) and minimally processed. In East Asia, soybeans are abundantly consumed in the form of soy milk, however, the way soy milk is produced in East Asia differs significantly from how soy milk is processed and produced in North America. For example, their soy milk is fermented and our commercially prepared soy milk products contain undesirable additives such as carrageenan (used as a thickener and emulsifier). Is Soy Milk Good for Your Health? A study published in the Journal of the American Medical Association looked at 5,042 women who were previously diagnosed with breast cancer and participated in the Shanghai Breast Cancer Survival Study over four years. The study showed women who consumed soy products regularly, including soy milk had a 32 percent lower risk of breast cancer recurrence and a 29 percent decreased risk of death, in comparison with women who consumed little or none. In their research of over 97,000 women who consumed a few ounces of soy milk daily, researchers from the Stanford University School of Medicine found participants were at a decreased risk of ovarian cancer. The PCRM says soy does not negatively affect fertility, breast cancer or male hormones. The PCRM also touts unprocessed soy foods, including soy milk for its ability reduce the risk of fibroids, inflammation, and prostate cancer in men—an analysis of 14 studies published in the American Journal of Clinical Nutrition showed a 30 percent reduced risk of prostate cancer with soy products included in the diet, such as soy milk. So what’s the bottom line on soy milk? Current research shows that both soy and soy milk can be safely included in our diet, when limited to 1-2 servings per day. 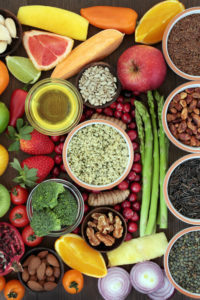 These foods (and beverage) have not been linked to increased cancer risk, and they may in fact offer health benefits, including the ability to reduce the risk of certain cancers. Keep it real with real food, and steer clear of soy supplements. The best soy food and soy milk choices include those that are traditional—traditionally prepared and fermented, minimally processed and non-GMO. amino acids, anti inflammatory, antioxidant, breast cancer, breast cancer in women, breast cancer recurrence, breast cancer risk, breast cancer survival, breast cancer survivors, breast cancers, breast tumors, cancer, cancer prevention, cancer rates, cancer research, cancer risk, cancer survival, cancer survivors, cancers, complete protein, diet, endometrial cancer, essential amino acids, estrogen, fertility, food, good health, health, inflammation, milk, nutrition, ovarian cancer, Prostate, prostate cancer, prostate cancer in men, protein, risk of breast cancer, risk of ovarian cancer, risk of prostate cancer, soy, soy milk, supplements, thyroid, western diet, women s health study, womens health. I thought you might be interested in this article on https://universityhealthnews.com: Soy and Soy Milk: Is it Really All Doom and Gloom?